The examples of unconscious bias in job descriptions are rampant. I’ve included 7 of them below. The bad news: your job postings likely have some bias. The good news: it’s easily fixed. An easy definition of unconscious bias is when you unintentionally exclude (and often offend) someone. Unconscious bias in job postings includes using text or media that excludes someone. When you exclude someone you both narrow your candidate pool and damage your employer brand. 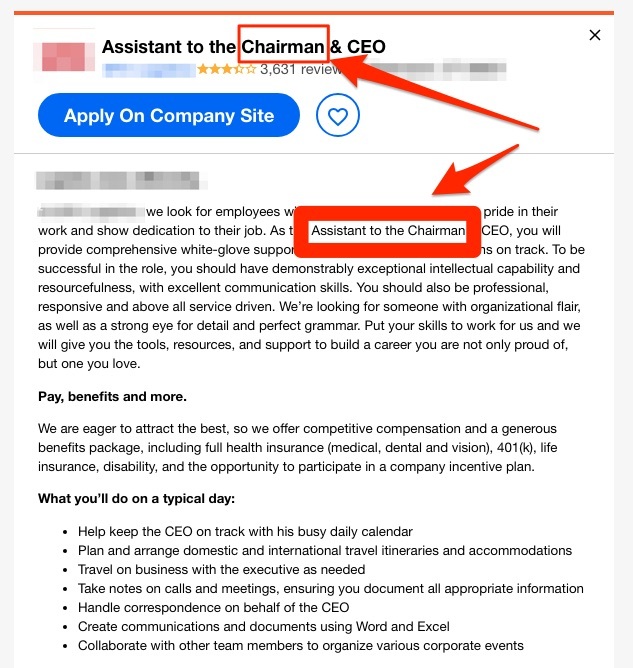 If you’re in charge you might even get fired. 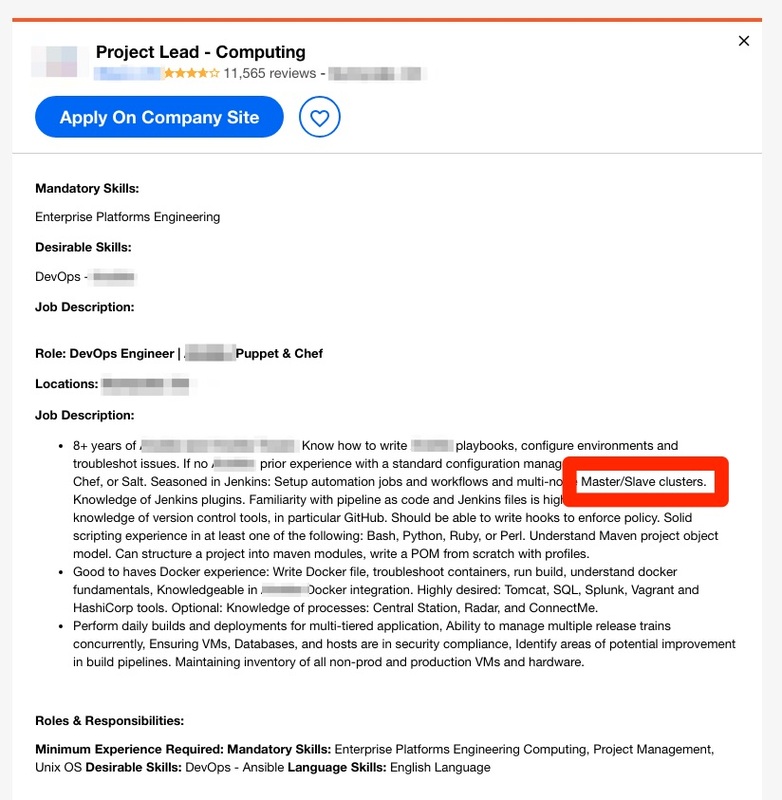 My examples of unconscious bias in this article are focused on text in job ads. 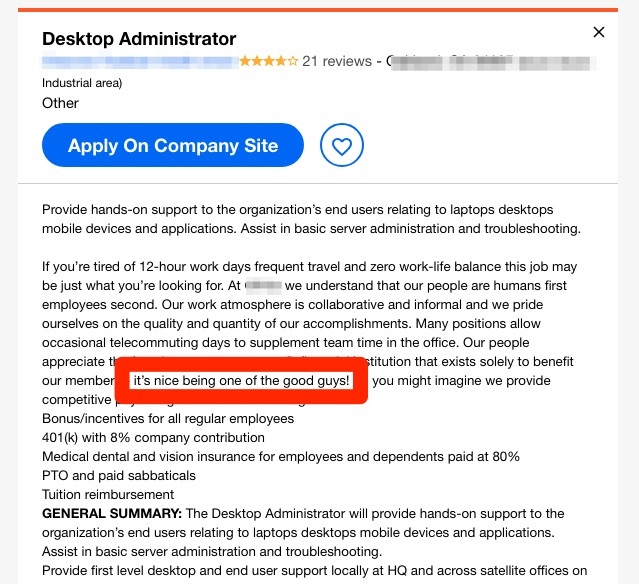 I blurred/shadowed out the.names of the employers. Be careful with your job titles. The employer below would be better off using Chairperson (not Chairman) in the title (assuming they want women to feel included). I listed examples of titles that you should NOT use here: “Gender-Neutral Suggestions for the Top 25 Job Titles that still Use the Word “Man”. In 1948, Mrs. Daisy Werthan, or Miss Daisy (Jessica Tandy), a seventy-two-year-old wealthy, Jewish, widowed, retired school teacher, lives alone in Atlanta, Georgia…her forty-year-old son Boolie (Dan Aykroyd) buys her a 1949 Hudson Commodore and hires Hoke Colburn (Morgan Freeman), an African American chauffeur. Some people who identify themselves as African American or of dark skin, might be offended by the “Driving Miss Daisy” reference. 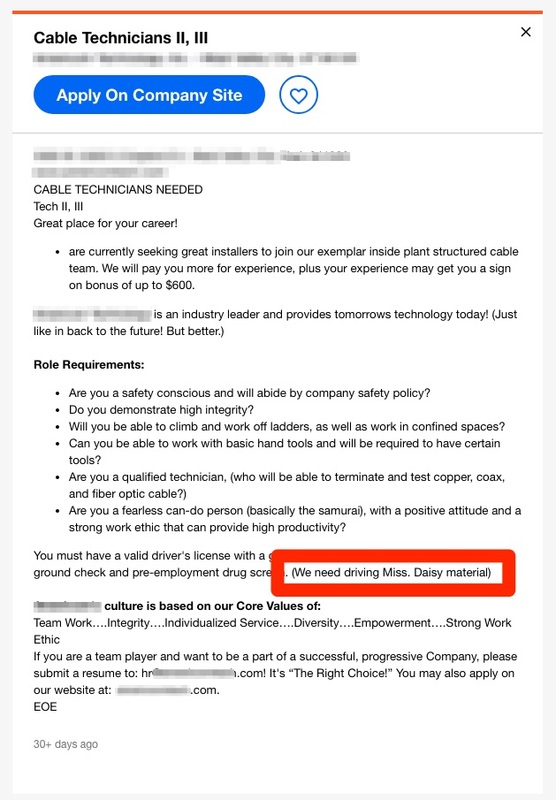 The phrase “Master/Slave” is used in many database-related job ads. It’s a type of software architecture. But it’s a bad move. The Global Language Monitor named this “the most politically incorrect term” of all of 2004. Some words are so ingrained that we hardly think about them. 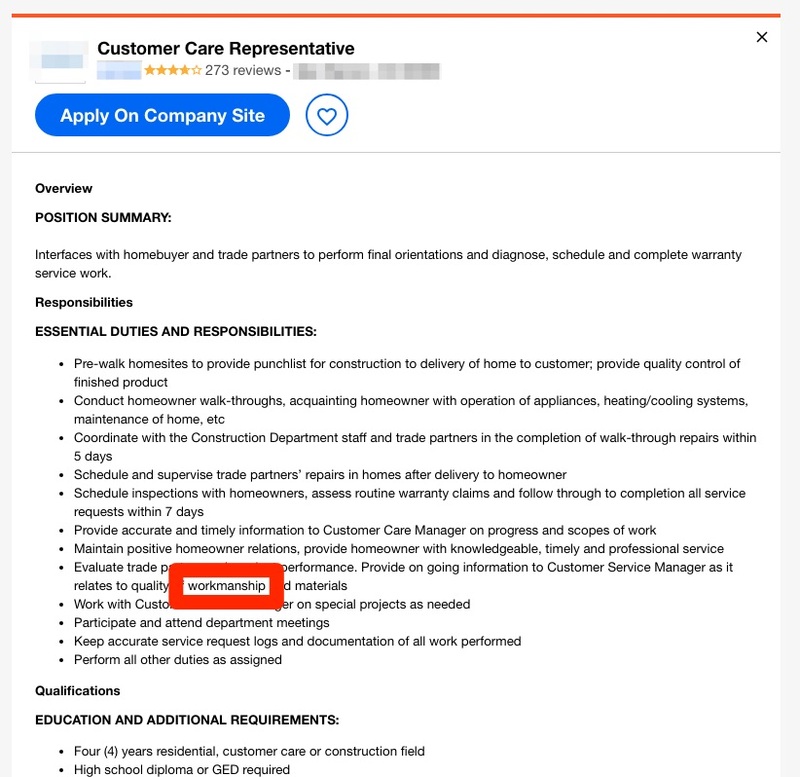 But using a word like “workmanship” (as the Custom Care Rep job does below), says to some that you’re biased towards hiring men (and not women). The employer below would be better off using the phrase “Legacy Clause” rather than “Grandfather Clause”. Most people use the phrase “guys” in everyday conversation. Try to avoid using “guys” in print. Use “people” or “folks” or “team” or something more gender-neutral. Note: A lot of the examples of unconscious bias are gender-related. 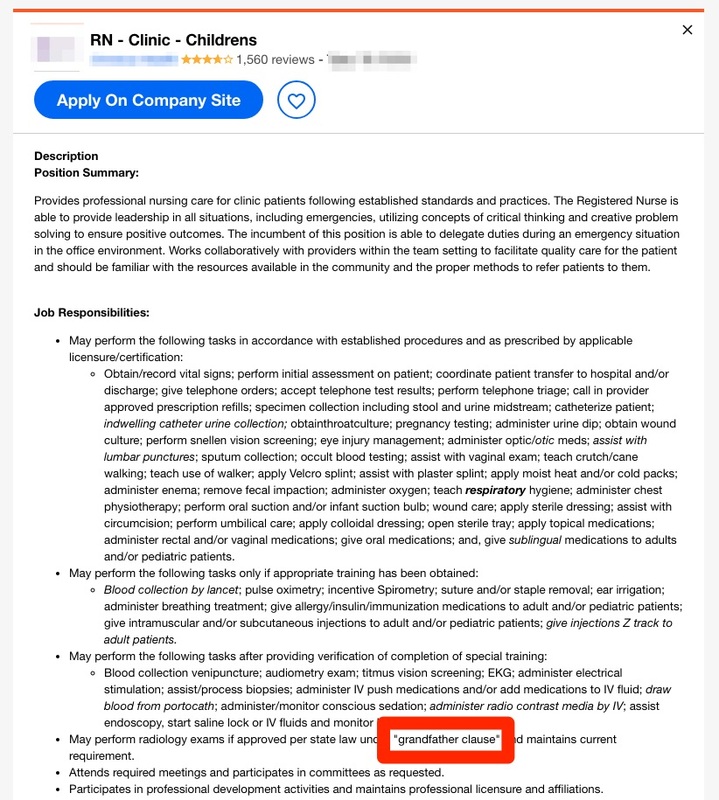 If you’d like to see more of those examples, check out A List of Offensive (Exclusionary) Words Used in Job Descriptions for more examples. Ongig’s Text Analyzer software finds these offensive/exclusionary words and gives you recommendations to replace them. I’d be happy to analyze your jobs to show you examples of unconscious bias. 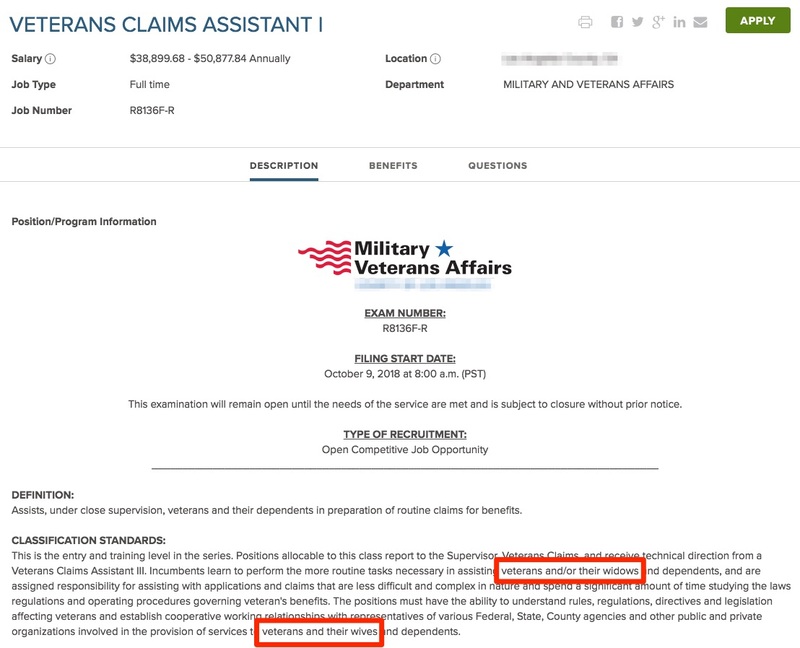 You’re better off finding any bias before your candidates do.